Moving can be an incredibly stressful experience. Homeowners and renters are focused on packing up all their belongings, getting rid of old items, and the logistics of getting to their new residence. With everything going on, the last thing they want to do is a deep-cleaning of their old home or apartment. Maid Bright helps homeowners and renters in the Fairfax area transition to their new home by providing thorough move in and move out cleanings. 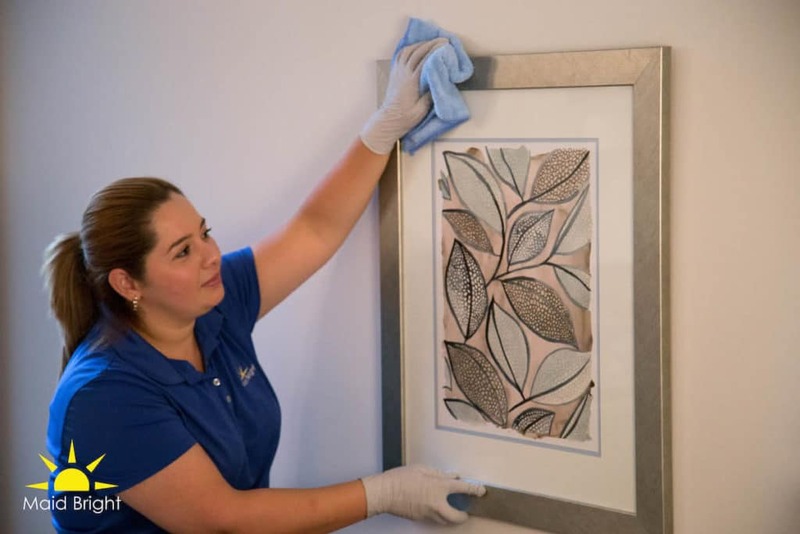 This cleaning prepares the house for its new occupants and helps renters earn their security deposit back by turning the place over cleaner than it’s ever been. With everything packed up and out of the way, our team can conduct a full deep cleaning from the ceilings to the baseboards, making sure nothing is left uncleaned. Give us a call today to get a free estimate on your move in or move out cleaning today. One of our managers will meet with you in your home, discuss any specific instructions you have, provide a price estimate, and schedule the date of your cleaning. Move out cleanings give you the opportunity to hand the place over to its new occupants clean, disinfected, and ready to welcome them. Our goal is to make your move easier by taking care of all the cleaning needed to leave your home in great shape. Our cleaning crews use a comprehensive checklist to ensure that no detail is left untouched. Plus, it’s completely customizable! If you or your landlord have any special requirements or considerations, just let the crew know, and they’ll be happy to take care of that for you. Whether you are preparing your home for the market or just trying to leave your apartment in good standing, the Maid Bright team is here to help! We guarantee you’ll be satisfied with the cleaning, or we’ll come back and clean it again! To get a free estimate for your move out cleaning, just give us a call today. Nobody wants to move into a dusty, messy, house. We help you and your family get a fresh start by making sure your new property is immaculate before you ever walk through the door. Unfortunately, some people neglect conducting a proper move-out cleaning, or the property had been vacant for a long time before you purchased it. Not to worry! A Maid Bright Cleaning crew will ensure every inch of your new home is clean, disinfected, and ready for you, your family, and your belongings. Because you haven’t yet moved in and unpacked, we can make sure every inch of your new home is cleaned, dusted, and disinfected. Give us a call to get a free estimate for Move In cleaning services. Maid Bright has been serving Fairfax-area homeowners and renters with expert cleaning services for nearly 15 years! We’ve earned a reputation as a trusted and reliable home cleaning company. We provide free estimates on all cleaning services. Just give us a call to schedule your estimate, and a Maid Bright manager will meet with you in your home, discuss any special instructions you have, and provide you with a quote. We donate a portion of our proceeds to Children’s National Hospital to raise the standard for pediatric care in the DC Metro area. We use products and methods that are proven to be safe for your family, pets, and the environment. 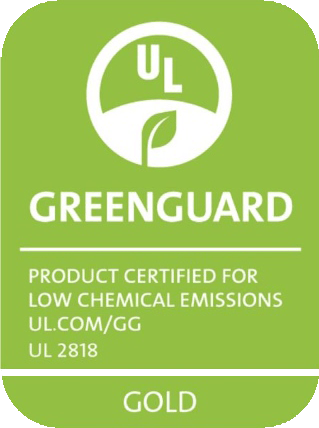 Each product we use has earned the industry’s Green Seal of Approval, which certifies its safety for your household members. If you prefer any alternative products, that’s not a problem. Just provide them for your cleaning crew, and they’ll be happy to use them. Our cleaning crews receive specialized training to conduct thorough cleanings that leave no detail untouched. Using a comprehensive checklist that covers every item in your kitchen, living room, bed and bathrooms, and more, you are guaranteed a spotless home. If you have any special instructions, we’ll make sure the crew is aware of them. Just bring them up with the Maid Bright manager during your free estimate. Request a quote by giving us a call or clicking the button below. One of our managers will meet with you to discuss your needs and instructions, provide a price quote, and schedule your cleaning. On the day of the cleaning, we guarantee you’ll be satisfied with the work, or we’ll come back and do it again.